Already well known as an explorer and fur trader in Canada, Rene Robert Cavelier, Sieur de LaSalle wound his way in 1682 down the Mississippi, claiming the entire Mississippi watershed in the name of France. 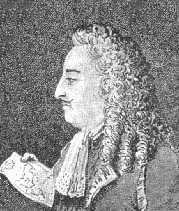 Two years later, French king Louis XIV supplied LaSalle with ships and colonists to return to the mouth of the Mississippi, and to further strengthen France's claim to the area. With four ships and over two hundred colonists, LaSalle set sail in July, 1684. After a somewhat perilous journey, the group missed their target and landed instead in the area of Matagorda Bay, Texas, in February 1685. Two of their remaining three ships were wrecked during the landing. Some of the party returned to France, but LaSalle and the others established Fort St. Louis, a settlement from which he made several expeditions in search of the Mississippi. On one of these excursions in March 1687, he was ambushed and killed by his own men, probably in the vicinity of present day Navasota in Grimes county. LaSalle is credited as being a factor in the later French development of the lower Mississippi. Because of his threat to the Spanish claim on Texas, his brief presence at Matagorda Bay inspired Spain to accelerate the development of missions in the region throughout the eighteenth century. Note: Following a dramatic discovery, the Texas Historical Commission announced in early 1995 that one of LaSalle's ships, the La Belle, had been found near Matagorda Bay. Now over 310 years old, the vessel and its contents are currently being recovered.